With all the gaming news released at E3 this week, I was most looking forward to the release date and a look at the game play of Sims4. EA has been stringing their followers along for months with screen caps and a few videos about the create a sim (CAS) and build mode. What I had been allowed to glimpse had me eagerly awaiting my chance to toss them my $60 for the game. One thing stopped me from preordering though and that was I needed to see the game mechanics. We've come a loong way since this. As anyone who played the games pre Sims3 knows, the mechanics have changed a lot. It went from a neighborhood where you played one house and couldn't visit your neighbors unless you exited out of sim A's family and went to another family and invited sim A over to sim B's house. I loved building my Pleasantville town in Sims2 with the Goths and my own created sims. Having that option to see the family tree spurred me on to trying to see how deep I could make the family trees in that neighborhood. It soon became a chore because my sims would have kids and their kids would have kids, all leading to so many houses to keep up on. Not only that but if I didn't particularly like playing a certain sim they wouldn't age leading to them being the same age as their grandkids. All that changed with Sims3. Not only could your sim freely roam the town, the rest of the town progressed on its own around your sim. Gone were the days of moving out with the sim kids and their parents never aging. Admittedly, it took me a while to get used to and actually like how the game play of Sims3 is set up. I know there are many others who highly miss how Original Sims and Sims2 worked. I went into watching the E3 spot for Sims4 a little unsure of what I was hoping to see. It appears to be set up a lot like Sims3 in regards to how the neighborhoods and families are presented. However, as many have pointed out, they didn't show actual game play. There were no menus or UI shown. The presenter did touch on the new gallery they are implementing. While it is nifty, it seems a lot like the Sims Exchange, which they have had around in one form or another since the original game. The peculiar ending to the presentation featured a Sim dying from laughter. Judging by the way it was highlighted, that's supposed to be a good thing, but it didn't sit well with me. Then again, I don't really like arbitrarily killing off my Sims. The new Create a Sim could raise some serious issues if they implement Oculus support. That said, from what I have seen of the CAS I am excited to try it out. I love making really unique sims and with each game it has become more advanced. 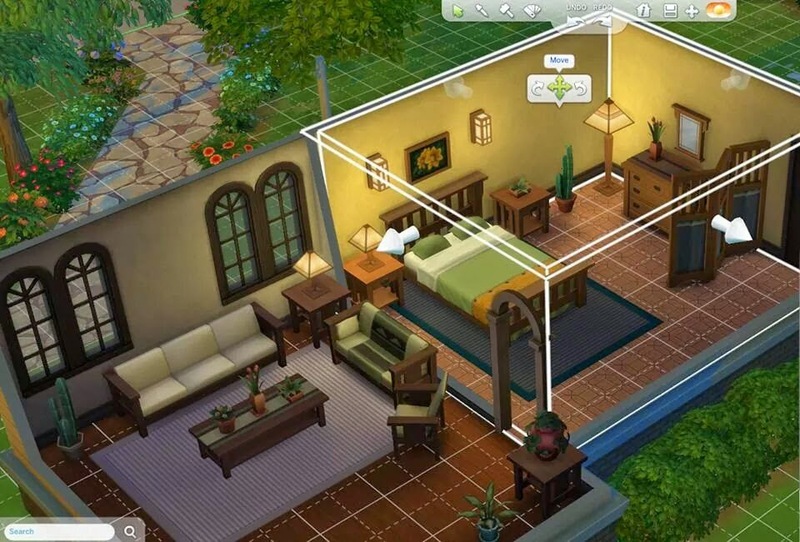 They ditched the slider bars and you can just click and drag on areas of your sim. With the new tools, those of us who like making realistic sims will be able to attain their goal easier. For people who like the absurd, they will be like kids in a candy store. The same can be said about the new abilities in build mode. There are options like picking up the whole house to change the position on the lot, something that I have always wished was available to do. Since creating sims and their homes is the part of Sims I have the most fun with I am still looking forward to the game. I hope with the new "emotions" they keep touching on, the freewill AI will feel more organic than in the past. I too like virtual people watching. I'll keep watching EA's sites to see if anything new on the gameplay gets posted and hopefully soon I can make my final informed decision on if I am buying the game when it releases on September 2, 2014.